Where would we be without people of different experiences, knowledge and skills working toward a goal? How dull would our neighborhoods be without the unique stories and contributions of the people who live in it? Imagine what our country would be like if technology, medicine, architecture and music had no diversity among its talent. How would higher education, fashion, science, sports, politics and theater look and feel if the people were all the same? Imagine a country without ethnic foods, cultural festivals and different religions. How much do we learn everyday from people with different ideas, backgrounds, abilities or perspectives? Unique individual flowers create a most beautiful bouquet. Unique individual people create a most beautiful everything. 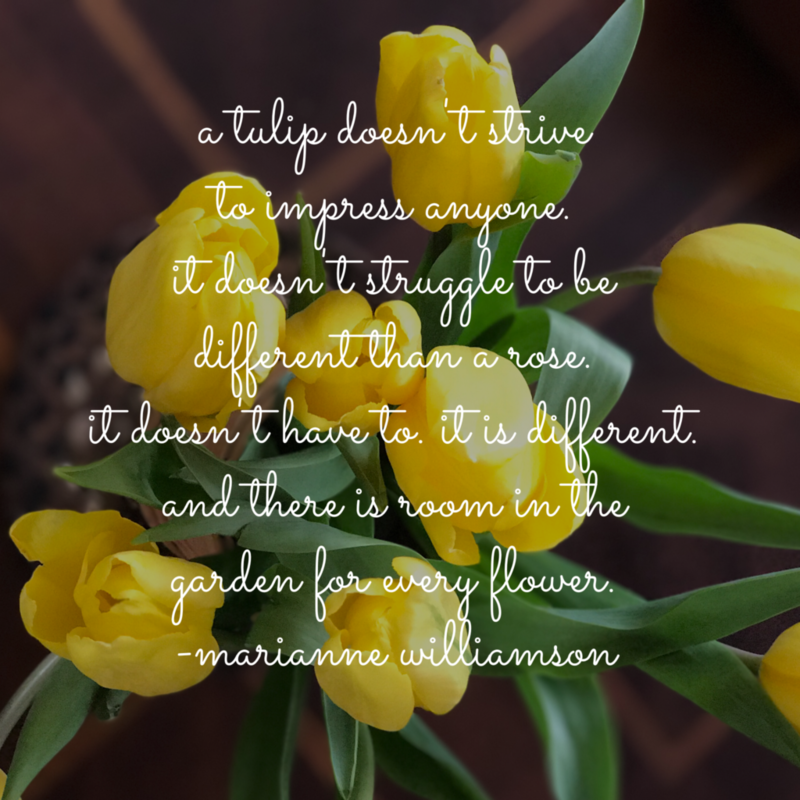 Photo of fresh tulips taken in my kitchen, last week!